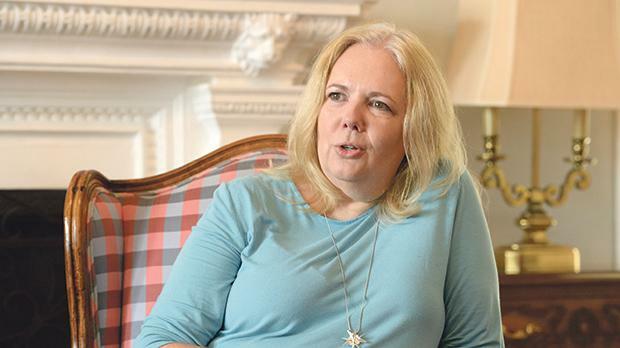 Outgoing US Ambassador G. Kathleen Hill speaks to Anthony Manduca about Maltese-American relations, Donald Trump’s presidency and transatlantic ties. Your term of office has come to an end. How would you describe your experience in Malta? It has been really wonderful and this was my first ambassadorship. Malta is a small country and that means you get to know a lot of people and different parts of society and you get great access all the way to the top leadership of the country. The interactions with the various groups has been very good and extensive. Soon after you presented your credentials to Malta’s President in 2016, you told me that your main priorities were co-operation on regional security and enhancing economic ties. Do you believe you have made substantial progress in these two areas? I think we have made extensive progress on both areas. On the economic front we have had a couple of big success stories with companies coming here. I would like to claim full credit for those companies but I can’t, they really did come here on their own, based on other factors including Malta’s reputation and location. Which companies are you talking about? I am talking about Crane and Steward Healthcare. Both of which have been somewhat controversial. They have been somewhat controversial in Malta but in the US there has been nothing controversial about either of these companies. I think they will be good additions to the community, they are solid businesses. Crane is in the business of printing money – there was an article on the BBC about the money printers of the world and how they serve the small countries which cannot afford to do it themselves. Steward Healthcare has made good progress on its role here and I look forward to seeing it in the future. You haven’t mentioned the American University of Malta. I know, but do you resent the fact that they use that label? It [the AUM] is also controversial and is not a success story. No, because it’s not copywrited. It gets conflated; it’s not an American initiative but an initiative by the Sadeen Group which is out of Jordan. There are a lot of universities around the world which use the ‘American’ label – which indicates the curriculum – like the American University of Malta – but there are only two universities, those in Beirut and Cairo, which were quasi-affiliated with the American government when they were founded. Malta and the US still have not reached a Status of Forces Agreement (SOFA). Why have so many US ambassadors been unable to conclude such a deal? It’s a difficult agreement and there is a concern here about Malta’s neutrality clause in its Constitution. It’s not clear to us that this agreement would violate that neutrality clause at all. SOFA is an agreement between two countries on if they choose to do something together – a military exercise, a military event, military training – this is how it would be structured. But it does not obligate you to do anything such as to cooperate with another military or to conduct a military exercise. Why is it so important to have it? Because it makes it easier to do things. This goes back to my number one goal which I spoke about two-and-a-half years when I first met you, improving regional security in the southern Mediterranean. Malta is a very important player in the Mediterranean because you are right in the middle of the Med, between north and south, east and west. There’s a lot of knowledge and expertise in Malta and it’s useful for us to work together on regional security. Isn’t the main bone of contention jurisdiction over personnel? It is. We have bilateral agreements with many countries around the world, including neutral countries such as Switzerland. We actually have one with Russia. During your term of office, Daphne Caruana Galizia was assassinated. How did this change the perception of Malta in Washington circles? Journalists play a very important role in our democracies. The First Amendment of our Constitution is about free speech and free press. Our Founding Fathers knew that a free press was a critical part of establishing a democracy, holding governments, corporations, organisations, communities and individual people accountable. This is what journalism does. So when you have a direct attack on a journalist anywhere in the world, but particularly in Europe, it’s going to create waves. And did it create waves in Washington circles? I think it did, also because all of the journalists took note, all of the organisations that work with journalists took note, and it was heavily publicised. What is your view on the state of the rule of law in Malta? And what do you tell the State Department about the rule of law in Malta? I tell the State Department that Malta has a very vibrant economy, it’s got a very vibrant society and it is part of the EU. It has instituted all of the EU requirements in its legislation, with maybe one or two which they are still working on. I feel Malta has worked very hard as a country to become an effective partner in the EU ever since it joined. For example, the work that the Prime Minister is doing with [French President Emmanuel] Macron on the migrant crisis, where a lot of other European countries are saying ‘stay away’, and that is not Malta’s attitude. But what do you advise your State Department about the rule of law in Malta? Are we making progress? Are we tackling corruption? I think you are making progress. I think there probably are holes, I would say most countries have holes they need to plug. One of Malta’s biggest problems, and I think everybody acknowledges this, is capacity. You are 400,000 people and now you have this incredibly vibrant economy and you are trying to manage and regulate it and give it proper oversight. Administrative capacity is certainly one issue but what about the political will to tackle corruption? I think there is political will and we have had many discussions with the Maltese government about their role, particularly post-Daphne murder, the booming economy and the introduction of blockchain and cryptocurrency. But we have talked a lot with the different entities that have oversight roles and the implementation of legislation. There is real interest in doing the right thing. I think many organisations like the MFSA have recognised the capacity issue and they are working to address that. And they are working with their partners, with us and with other European countries. There is a solid recognition of areas they need to improve. When you first arrived in Malta you were representing President Barack Obama, a strong believer in multilateralism, a firm supporter of the EU and Nato and a defender of the free press. Within a year you had to represent President Donald Trump, who is no friend of the EU or of multilateralism, who undermines the press, who believes in ‘America First’, and who is under investigation, together with his campaign team, for collusion with Russia in the 2016 election. How difficult was it for you to make this transformation? Donald Trump has a very different personality. He is very different to past politicians and would be the first to admit he is not really a politician. He is a businessman and he’s from New York, so he’s very blunt. But if we actually look at a lot of the policies he is instituting, they are not necessarily very alien to us. These are points of view that have existed in our system and at varying times in our system have also been the points of view that have been the administration’s policies. He is a strong believer in a strong transatlantic relationship, he would like the Europeans, particularly with Nato, to take up more of the job. They all agreed [in 2014] to a two per cent GDP spending on defence, they haven’t got there yet and some of them don’t even have plans. The plan was to spend two per cent by a certain time frame [within the decade from 2014]. All we are asking them to do is do that. Putting aside Trump’s personality and looking at his policies, Trump withdrew from the Paris and Iran nuclear accords, the Trans-Pacific Partnership, UN Human Rights Council and Unesco, he slapped tariffs on key trading partners, he recognised Jerusalem as Israel’s capital and moved the US Embassy there, he stopped bilateral aid to the Palestinians and ended funding of the UN Agency for Palestinian Refugees. How are these good things? How are you comfortable with them? They are different sides of the same coin. Regarding the Iran nuclear agreement the issue is that they felt it was not enough. We want to tackle the whole Iran issue, not just a piece. What one could argue is that instead of piecemealing all these issues, he really wants to hit them head on, and completely. The whole world, including the International Atomic Agency, says the Iran nuclear deal is working. Did it make sense for the US to abandon the treaty? The previous US administration had acknowledged there were other issues with Iran but wanted to tackle the nuclear problem first and then focus on other aspects. And now we risk a war with Iran. With the Iran issue, our goal is nuclear and everything else. This administration has decided that the way to pursue that is not by just doing piecemeal but doing it all the way. We would like everyone else to come along with us, we would like the Europeans to come with us on this decision, they have chosen not to. Iran is very active in a negative way in Syria and Yemen, and those are areas where people are actually dying because of this activity. People are also dying in Yemen because of Saudi airstrikes which are backed by the US. There are always two sides of the coin. It’s not just Iran. Right, but when the Iranians arm the Houthis and they start a rebellion, you get war. One can argue that the best solution is not just airstrikes by the Saudis, you can have a multilateral approach which obviously takes time. That is also being worked on. A number of senior State Department officials, including serving ambassadors, decided to resign in protest against the Trump administration. Did you ever consider resigning? No, because my oath is to the Constitution of the United States. Our oaths are not actually to the President. Even the President’s oath is to the Constitution. Everyone’s oath is not necessarily to the administration that is in power. Our oaths are to the people of the US and who they choose to be in power. To me that’s a very critical distinction. Could there be a red line where you would say “that’s it”? My oath says I am to protect and defend the US Constitution against all enemies, foreign and domestic. So that’s my red line. The UN General Assembly laughed at Donald Trump when he was addressing it on Tuesday. What does this say about America’s image under Trump? We have never had this before. It’s his personality. It was very much a stylistic issue for President Trump. But the United States is more than President Trump. It’s a huge country with many people and most of our international relations around the world is done by individual Americans working and travelling around the world as tourists and students. They are our biggest diplomats and representatives. In certain parts of the world people know America not necessarily by who sits in the White House but by who is sitting across them in the café or studying with them at university or working with them out in the field. As with any country, we are far more than just our government. Many people in Europe are saying we can no longer depend on the US and that the US is an unreliable partner now. In fact, the remaining signatories in the Iran nuclear deal – the EU, UK, France, Germany as well as China and Russia – say they will set up a new payment system to maintain business with Iran and bypass US sanctions. Are you concerned that Europe and the US are heading into opposite directions? I am not particularly worried because there is so much else to US-European relations than this one agreement. We have a long history of cooperation and collaboration in many different areas and along the way we have had disagreements before on specific issues. But we have still been able to maintain a holistic partnership. We are grounded in similar values, particularly in the value of democracy. I believe we will get through whatever disagreements we have now and that the relationship will continue in the future because it’s so broad and so deep. So you believe the transatlantic alliance will survive Donald Trump? Trump has never made a speech praising the transatlantic alliance or the EU which are a bedrock of peace and stability in the post-war era. Trump criticised the EU, saying it was set up to threaten America. He said Brexit was a good thing and that he thinks other countries will follow suit. At the same time we have Secretary of State Pompeo spending a lot of time working with the Europeans and we’ve had other administration officials over here working on agreements, advancing relations, having discussions on various issues, being partners to address other issues such as Russian influence. Many would argue that the US has effectively withdrawn from the Middle East peace process and it is no longer regarded as an honest broker by the Palestinians. It has cut off aid to the Palestinians and has been excluded from any Syrian peace negotiations. What’s happening to US diplomacy in the Middle East? I think we are still there and I disagree that we are out of the Syria negotiations, we are still very much engaged. You are never invited to regional conferences such as those between Russia, Turkey and Iran. That is just one attempt at peace in Syria. We talk to Russia almost on a daily basis on Syria. We have interactions with Turkey constantly on Syria. We also work with other partners in the Middle East on the Syria issue, including Jordan and Israel. We are still very engaged in the Israeli-Palestinian issue and there has been a lot of thought about how to move that issue forward. We have taken a different path that has been done in the past…. Many people would say you have burnt your bridges with the Palestinians. With decisions on Jerusalem and ending aid, how can the Palestinians trust you? For a long time we were one of the largest contributors of aid to the Palestinians. But accountability on that aid became very difficult. Another issue was ‘where was everybody else’? Well, Europe provides plenty of aid. Right, but I think it had become very difficult to provide accountability and that does not mean we aren’t looking at other ways to help those who are in need. Is accountability the real issue? I think it is. Where is this money going? It’s important. On the issue of Jerusalem, we recognise what was already there. Yes, but all Presidents had the common sense to ignore the congressional resolution on Jerusalem. Jerusalem is the Israelis’ capital. And the Palestinians say it is also theirs. And we have not disagreed with that. We have not said Jerusalem is only the capital of Israel and not the capital of Palestine. What we have said is that Jerusalem must be defined by the two parties. Which is what the Oslo peace accord states. So why does it make sense to recognise Jerusalem as Israel’s capital? How is that helpful? Does it preclude anything else? We never excluded that possibility. [Of Jerusalem also being the capital of Palestine]. It sends out the wrong signal to the Palestinians. Leaving aside Jerusalem, what has happened to the peace process? Quite honestly, I don’t know what is going on in that particular area. I know there are plans in that area, which have not been fully released yet. Do you believe that America under President Trump is still the leader of the free world? I do. America under Trump or Obama or Bush or Clinton is still America, regardless of the President. I think that speaks to the strength of America’s democracy and the strength of America’s story to the world. America as a country established over 200 years ago, developing in democracy through diversity, immigration, in its role in the world, supporting the world in two world wars. I think that is bigger than any person. True, but when you have a President, who is meant to be the leader of the free world, calling the press the ‘enemy of the people’ or failing to distinguish between neo-Nazi protesters and anti-Nazi counter-protesters, what signal does that send out to the world? I think President Trump has a very different style and a very different personality. Some people don’t like it, some people do. But I think the overall message of America is still positive and strong because it is not dependent on any one person. It’s dependent on all of us and I think that is what really matters. I am also happy that the world is critical and still cares because that means that the world does still care. I would be more worried if people stopped criticising and walked away and that’s not where we are at in the world right now. The Washington Post said President Trump has lied 5,000 times since he became President. How damaging is this to American politics and to the concept of truth? I don’t really know what impact that would have, I haven’t been back to the US in a while so I don’t know what the temperature is. I would say I would need to see what they mean. Each individual American would have to make his own choice on that particular issue. Former Secretary of State John Kerry, who I believe you know quite well, said Trump has “the maturity of an eight-year-old boy with the insecurity of a teenage girl”. That’s quite a statement. What do you make of it? He’s welcome to his opinion. Everyone is. Do you think Trump will complete his term of office? At this point I see no reason why not. You have often said that you believe American institutions are very strong. Have they performed their role under the Trump administration? I do believe American institutions are very strong. I still think we have a very good system of checks and balances, a three-way system consisting of the executive, legislative and judicial branches that works very well. Many would argue that the courts have done a good job but Congress, which is controlled by the Republicans, has been somewhat weak. But every two years, and it’s happening this November [congressional elections], the American people get to make a decision about that, which is the greatest thing about our democracy – the people of the US have a voice in the process and you’ll see that in November.